All Elfin Bears™ and Friends are a One Of A Kind unique creation. Each bear or friend is 6" tall or less and comes with a hang tag bearing the Elfin Bears™ logo, the name of the bear or friend, and birth date. All Elfin Bears™ are stitched by hand using a variety of materials and threads and then their personality is added through facial expressions, clothing and accessories. 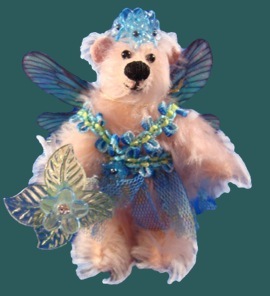 Every Elfin Bears™ creation is special and looking for a good home to grace.